As a beginner video creator, you’ve probably wondered what the best microphone to choose is. Because audio is just as important, if not more important for online videos, you need to make the smart decision for which microphone to buy. Unlike cameras, where most cameras can shoot amazing video for your YouTube channel, online course, or video project, microphone quality ranges drastically. Each type of microphone has its pros and cons, and best use scenarios. First, watch the video above. Then, read up more on the microphones. This is… the Ultimate Microphone Shoot Out! In the video above we tested out the Rode NTG3 microphone at a close distance of about 12 inches. We also heard the Sennheiser ME66 microphone at 5+ feet. Obviously in this test, the NTG3 sounded better. But I also did a better comparison of these two microphones if you’re deciding between the two. These two shotgun microphones (and shotguns in general) are super high quality. The sound is better than all of the other microphone types – when booming the shotgun close to the speaker. Shotgun microphones are directional, meaning they don’t pick up a lot of background noise. If you’re shooting with a DSLR, mirrorless, smartphone or web camera, you will have to record separately to a device like the Zoom H4N. This means having to sync in post production. The price is the biggest con. The NTG3 and ME66 (with the required K6 power module) come in between $500-$700 new. A cheaper option is the Rode NTG2, which is under $300. You’ll either need a boom operator or a microphone stand to hold and position the microphone in the right spot. A stand is great if you’re recording in one location. But if you’re moving around, the boom and shotgun mic are just another piece of equipment that needs to be carried around. Can’t plug directly into DSLR, mirrorless, or smart phone camera. Okay, some may call this a benefit. But you will need a camera or external recorder that accepts XLR inputs from your shotgun. Who is the shotgun microphone for? Ultimately, I bought the Rode NTG3 because I wanted the highest-quality audio (for less than $700) for my talking head videos. If you have extra money to spare, and you’ll be shooting a lot of interviews or talking head videos, get a shotgun microphone! OR an audio recorder that plugs into your DSLR or mirrorless camera like the Tascam DR-60mkII – this means no syncing audio in post! Make sure you have decent headphones to monitor your audio while recording like the Sennheiser HD 380 Pros or the Sony MDR 7506s. In the video above we tested the Sennheiser G3 wireless microphone set. Lavalier microphones (aka lapel microphones) can be clipped on to a person’s shirt. These are typically used for interviews, events, or talking head videos. The quality of lavaliere microphone ranges. You can get a $20 lavaliere mic from Amazon, but it’s not going to record as well as the $600 G3 kit. Depending on your setup, it can plug directly into your camera or your audio recording device. You can even get the Rode smartLav+, an amazing lavalier microphone that plugs directly into a smartphone. Lavs are easy to use. Just clip them 8-10 inches below your mouth and you will record audio 100x better than your camera’s internal microphone (or even an on board shotgun microphone). Whoever is speaking on camera can move around, and you don’t need a boom operator following them. They come in wireless option, meaning you can setup your camera far away without dealing with cable. This is great for event videographers. I’ve used lav mics for years. I loved them for years. But after using the shotgun microphone recently, the sound of the lav just isn’t as good. More echo and background noise is picked up from a lav because they aren’t as directional as shotguns (they are omni-directional). Wireless batteries run out of juice – sometimes during shoots. This is so annoying. Lavalier microphones are in the shot. The audience sees them. Yes, you can hide them under a shirt, tie, scarf, etc. But the more you hide it, the more muffled the audio will be. Who is the lavalier microphone for? Lavalier microphones are great for solo-videographers doing interviews who don’t have a huge crew and don’t want to setup a shotgun microphone. They’re great for people like wedding videographers for getting high-quality audio of the vows by clipping on a mic to the groom. It’s also great for vloggers who use their smartphone to record video. You can attach any type of shotgun microphone to your camera, as long as you have the right input. But here, I’m talking about the Rode VideoMic Pro shotgun microphone. It’s a high-quality shotgun microphone for around $200 (there is a $100 Video Mic Go option) that plugs directly into your DSLR or mirrorless camera, and attaches to the hot-shoe mount on top of your camera. Better audio quality than the internal camera microphone. Automatically recorded with and synced to your video. Who is the on-board shotgun microphone for? Everyone who shoots with a DSLR or mirrorless camera should have an on-board shotgun microphone. It allows you to actually use the audio recorded with your video, because the internal camera microphone is utterly atrocious. These mics are great for Casey Neistat style vloggers. These cameras only work with DSLR, mirrorless, or other cameras with the mini microphone jack. 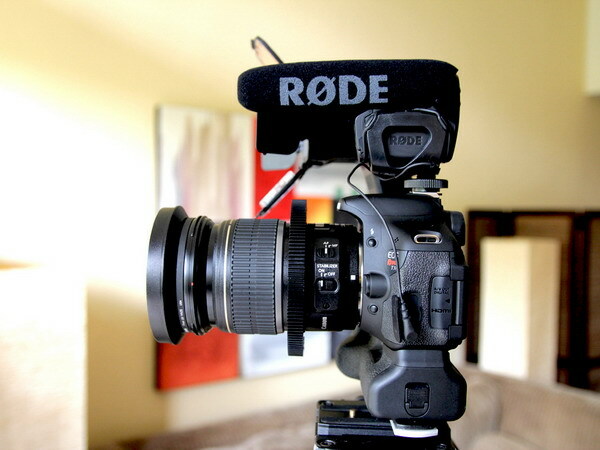 Aside from that, the only thing you need is the microphone like the Rode VideoMic Pro. 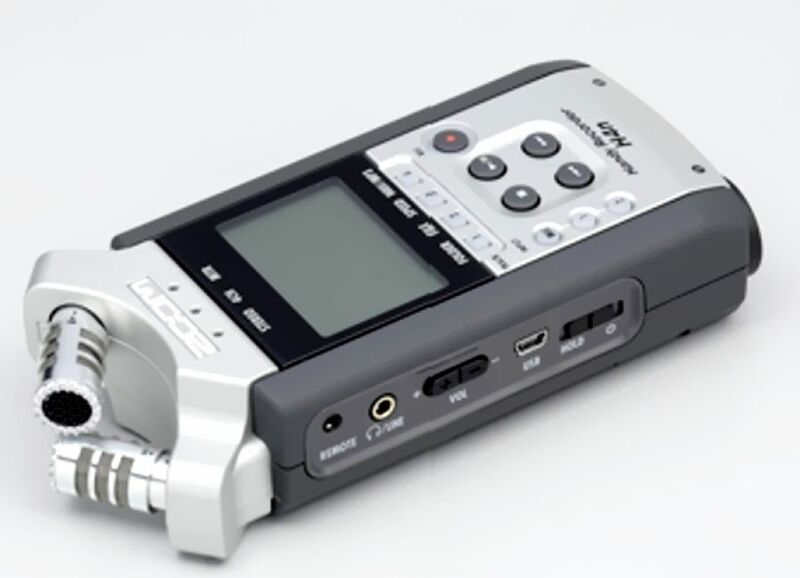 Since DSLR cameras came out, the Zoom H4N became the most popular external recording device. It’s cheap ($200). It allows you to plug external lavaliere or shotgun microphones into it. It’s easy to use. And it even has decent internal stereo microphones. The Tascam DR-40 is another popular option under $150. Before having the Rode VideoMic Pro attached to the top of my camera, I used to rig up my Zoom on top to use as an ‘shotgun’ microphone. In terms of audio recording quality, the microphone actually does a really amazing job. 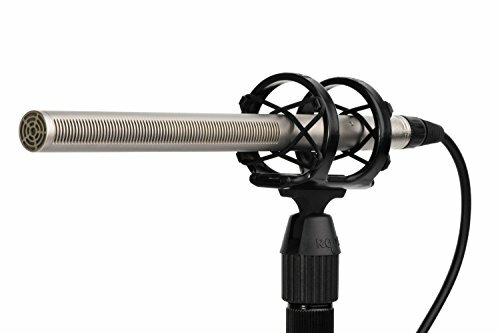 You could even use this as a boom/shotgun microphone if you wanted to. You can plug it into your computer to use it or any microphone plugged into it as a USB microphone. You have to control the microphone through the device itself. And the audio isn’t great from a distance. So if you’re recording an event or even an interview with the Zoom as a ‘shotgun’ microphone, you can’t control it from behind the camera. Sound is recorded separately (obviously), meaning you have to sync up the audio in post. It’s big and bulky compared to a lavalier mic. Who is the audio recording device for? If you have a camera without XLR inputs, you’ll need some sort of external audio recording device to record sound from a shotgun or lavalier. So even if you go for one of the above options, you might need to get one of these as well. In terms of using it as a microphone, they’re great for musicians or journalists who want a recorder and microphone all-in-one. If you already have a Zoom or Tascam recorder, you can use it as a higher-quality shotgun or USB microphone before investing in something like the Rode NTG or Heil PR-40. 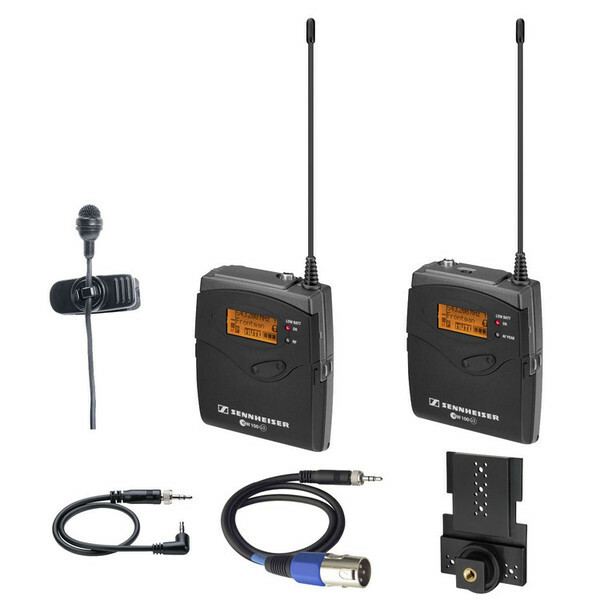 These devices are all-in-one recorders and microphones. This means you can just purchase one like the Zoom H4N or Tascam DR-40 by itself and start recording. Attach these devices to the top of your camera with a Hot Shoe Adapter like this one. If you’re an online teacher, or someone creating a lot of videos with your computer – screencast tutorials or even vlogs – having a better microphone than your internal computer microphone is key. The Blue Yeti ($120) and Blue Snowball ($50) are great USB options that plug directly into the computer. 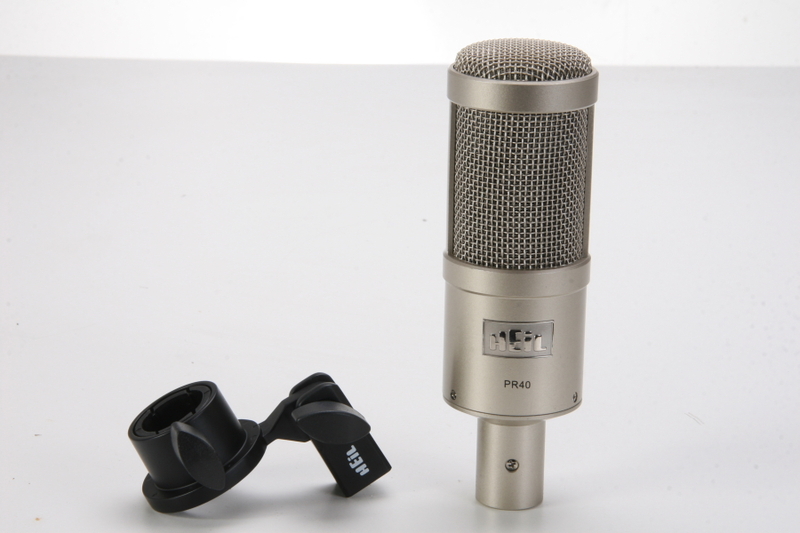 The Heil Pr-40 is a podcasting microphone used by radio hosts and professional podcasters. Amazing audio quality. In particular, the Heil Pr-40 makes even me, with my Southern California slang and twang, sound like a pro. Background noise – or lack thereof. I could be sitting in the middle of traffic with the Heil Pr-40, and I could still record amazing audio. The Blue Snowball and Blue Yeti are definitely not as good, but still better than the computer’s mic. The USB mics can’t record with any camera other than your computer webcam (or anything you have plugged into your computer). You have to speak very close to the microphone to get the best quality. This means the mic will be in your camera shot if you’re shooting talking head videos. The Heil Pr-40 isn’t a USB microphone, meaning you need an audio interface that allows you to connect it to your computer. Luckily the Zoom H4N can do this for you! Who is the podcasting microphone for? Podcasters, obviously. Anyone recording audio without video. Anyone using their computer to record video/audio. Screencast tutorial creators. Online teachers. YouTubers who don’t mind the camera being in their shot. Just purchase the Blue Snowball or Blue Yeti. Plug it into your computer and start recording in no time! Let me know what else you need to decide what microphone is best for you. I’ve personally tested all of the microphones mentioned above, and can fully recommend all of them for their different uses. Now you might be wondering – which one, if you could only choose one is best. In the end, if I could only have one microphone, I would want the Rode NTG3. It’s versatile, great for talking head, voice over, screencast, or even professional documentary/narrative shoots. Of course, you need a camera that has XLR inputs or an audio recorder like the Zoom H4N to record with this shotgun microphone.